My camera bag for professional assignments and personal travel. I own all of these items and highly recommend them (updated model listed if discontinued). I also teach pre-recorded online photography workshops, see the courses offered here. 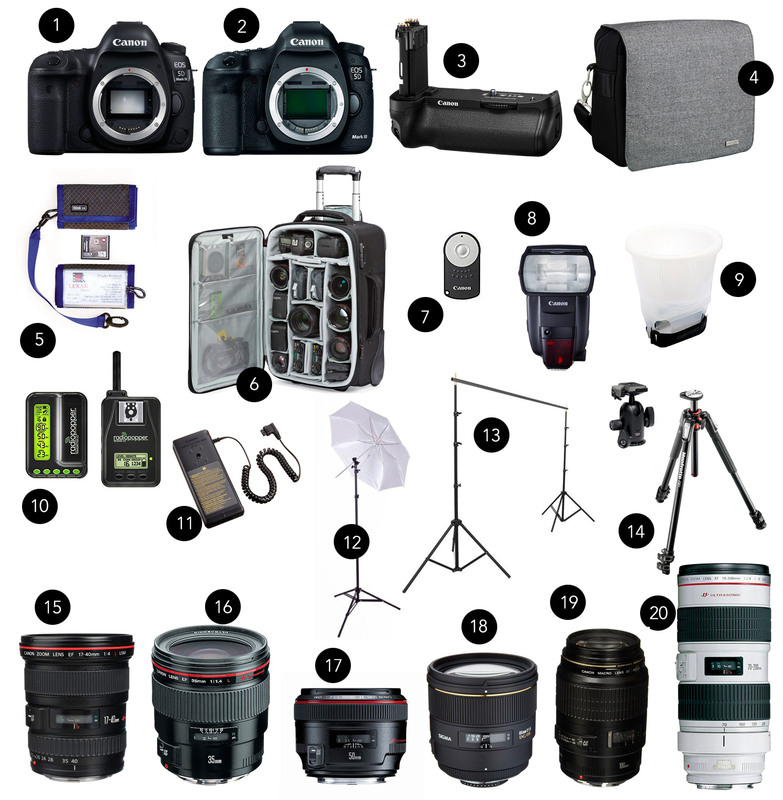 This is the equipment I bring with me on a shoot, typically corporate or editorial shoots. If it is a portrait session, I throw in a few favorite lenses in my camera bag and go. Lowe Pro Roller x200 – turns into a backpack! I don’t bring my professional equipment with me when I travel, or if I’m at a meeting, it draws too much attention. I love lightweight, and I am crazy about the G7x point and shoot, it captures amazing video as well. 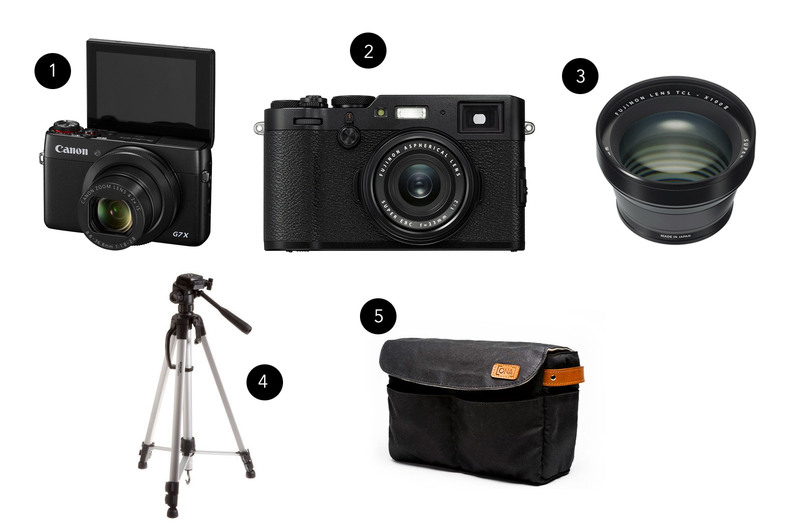 I am a fan of mirrorless cameras, and used to be an ambassador with Sony, and just recently added the Fujifilm mirrorless to my travel bag.